The Atlanta Geological Society benefits from the generosity of our Sponsors. In return, we highlight their contribution at our meetings, in our newsletters and on our website. Please review their information and please consider them for your next project. We are a community based organization that hosts monthly lectures and workshops. Most years as many as ten lectures on various topics associated with geology, geoscience and the environment are presented during the monthly AGS meetings. The AGS monthly workshop provides technical presentation of geologic topics and are open to the public yet geared to help the professional geologist candidate review and study for the National Association of State Boards of Geologists exams. The AGS also accepts applications for mini grants to help provide resources to educators and scientists in their effort to promote aspects of geology and participate in relevant conferences. In addition, the AGS June Social is organized for members to meet in a less formal setting, share a meal and a movie at the Fernbank Museum’s Rankin M. Smith Sr. 4K Giant Screen Theater. For this to happen, AGS relies on membership dues and sponsors. Typically a monthly meeting sponsor will pledge a $200 donation to AGS and receive time for a short presentation as well as the opportunity to meet and greet members during the pizza dinner provided before the meeting. AGS also promotes its sponsors and provides an opportunity for our sponsors to advertise in the AGS monthly newsletter as well as permanent presence on this web site (see below). The June Social dinner and movie requires as many as five sponsors. Although the $200 amount is typical, we do offer Tiered sponsorship opportunities as indicated in the table below. All sponsorships can been paid with a check made to AGS and sent to the Treasurer; or paid for by credit card at the AGS online Square website store. Details are below. 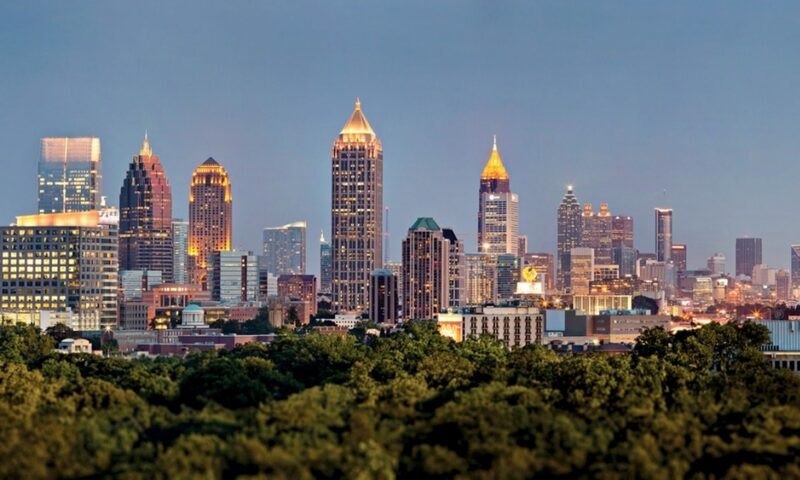 If you are committed to supporting the Atlanta Geological Society; please consider being a sponsor at the next meeting or the Annual June Social. Step up and support the Atlanta Geological Society!